We are enormously proud of our long and distinguished sporting heritage at Queenswood. Everyone is encouraged to participate, whatever their expertise. 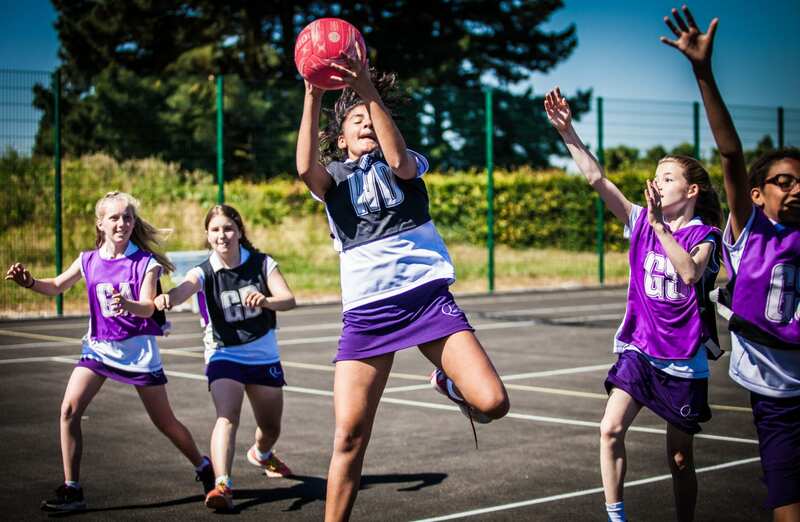 Girls can choose from a huge range of sports, including Hockey, Tennis, Netball, Swimming, Athletics, Tennis, Gymnastics, Cricket, Polo, Table Tennis, Badminton, Cross Country, Fencing, Golf, Trampolining, Football, Horse Riding…the list is by no means exhaustive. There are opportunities to compete at many levels, and girls can participate at Inter-School, District, County, Regional and National Level in a wide range of sports. In recent years girls have represented their county in Athletics, Hockey, Netball, Tennis, Cross Country, Trampolining and Gymnastics, and internationally in Tennis, Hockey, Athletics, Trampolining and Fencing. We offer scholarships to sportswomen who show particular potential, talent and commitment in any sport currently offered by the school. There is a two-tier scholarship system in place for tennis players. For more information about our scholarship awards, please visit the scholarships and bursaries section of the website. We have superb facilities, including a the brand new state-of-the-art Queenswood Hall, with retractable bleacher seating for 580 spectators, a 25-metre swimming pool, 27 tennis courts, an aerobics room, a dance studio, a weights room, a nine-hole mini golf course, a polo field, an AstroTurf pitch and grass athletics track. One thing is certain: it is hard to avoid a sporting experience at Queenswood. Girls leave with the knowledge of how to prepare their body for exercise and how to train effectively. Most importantly, they enjoy their sport with great etiquette and enthusiasm.